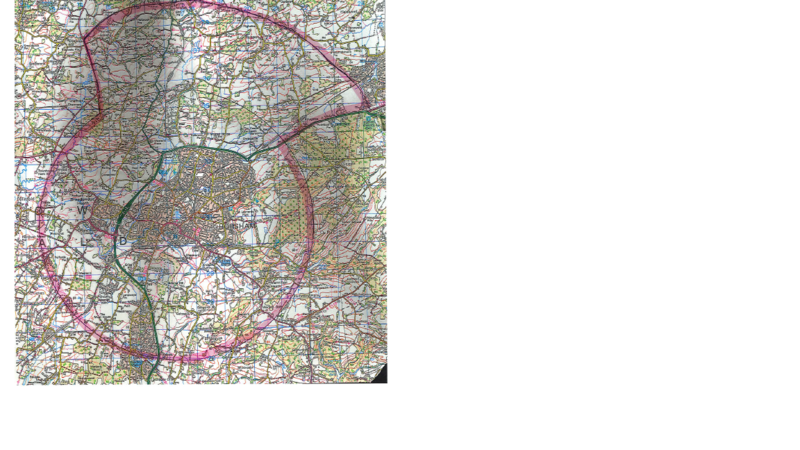 The practice accepts patients who live within 3 miles to the West, South and East of the Practice and those who live within 5 miles to the North of the practice – please click here to check if you live within the area* or speak to reception for further details. *Unfortunately the catchment checker tool is currently unavailable. Please refer to the map below for guidance. Thank you. Car parking at the surgery is limited and is for disabled patients and those with mobility problems. Please do not use disabled spaces unless entitled to do so. 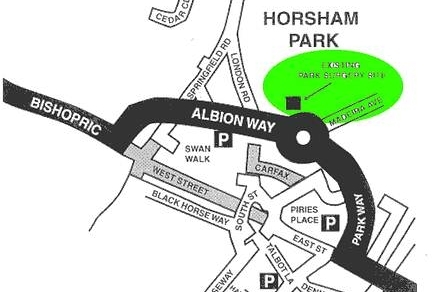 Short stay car parking is available nearby in North Parade and Albion Way. Patients who do use the car park are asked to register their car details at reception. The practice is only accepting patients as above who live within 3 miles to the West, South and East of the Practice and those who live within 5 miles to the North of the practice. Patients are registered with a partner of the practice and may state their choice of doctor from those whose lists are currently open. If the patients registered doctor is unavailable, they will be offered an alternative but staff are asked to book patients in to be seen with their own doctor as much as possible as this helps to ensure continuity of care. 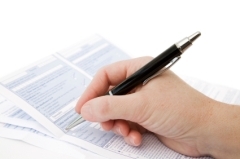 Please return the required forms to the surgery duly completed together with two forms of identification which can prove you are resident in the local area. Unfortunately, if you are unable to produce identification to prove Horsham residence, we may not be able to register you with the practice. Our receptionist will check your ID and may take a photocopy of your passport or other photo ID. If you have a pre-existing chronic condition e.g., diabetes, the receptionist will offer you an appointment for a New Patient Medical Check. (Children under 10 do not usually need a check). The medical will take between 15 minutes and half an hour and you will need to bring a specimen of urine with you for the nurse to test. Your blood pressure will be taken and any chronic medical conditions and/or family history noted. We will also check your height and weight and offer general health care advice. If you are unable to keep your New Patient Medical Check appointment, please ensure that you telephone the surgery on 01403 330266.